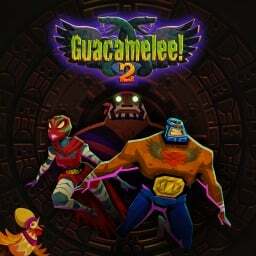 Guacamelee! 2 is getting a couple of post-launch content packs. One of those is available right now -- for $2.99 you can purchase a pack that lets you play as three of the game's bosses. A challenge level is coming in December. Juan is chasing a mysterious enemy who has stolen the key to the Relic Room. His aim is to get into the Relic Room and steal the super secret sacred Relic. It's up to Juan and up to three friends to stop him. This week's Paris Games Week has seen the announcement of 16 titles. Part 1 covers the seven non-VR titles that were announced over the previous few days. The first Guacamelee! 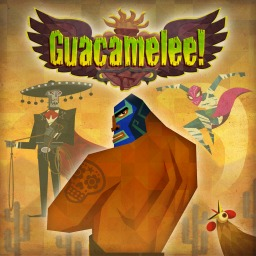 game with trophies was Guacamelee!, which was developed and published by DrinkBox Studios and released on 10 April 2013. Since then there has been 1 more game in the series with trophies - Guacamelee! 2 which was developed and published by DrinkBox Studios and released on 21 August 2018.